I have several "categories" for cleaning things. I have the things I clean every day, or just about every day (laundry, dishes, wiping counters down, etc. ), the things I clean weekly, or a few times per week (vacuuming, dusting, cleaning the bathroom, etc. ), and then the other stuff. Stuff like cleaning out the refrigerator, sweeping the garage, moving furniture to vacuum...you know, all the fun stuff! Since I have so many of those bigger item things that aren't done very frequently, some are monthly, some are annually, I have had a hard time keeping track of when I last did what. 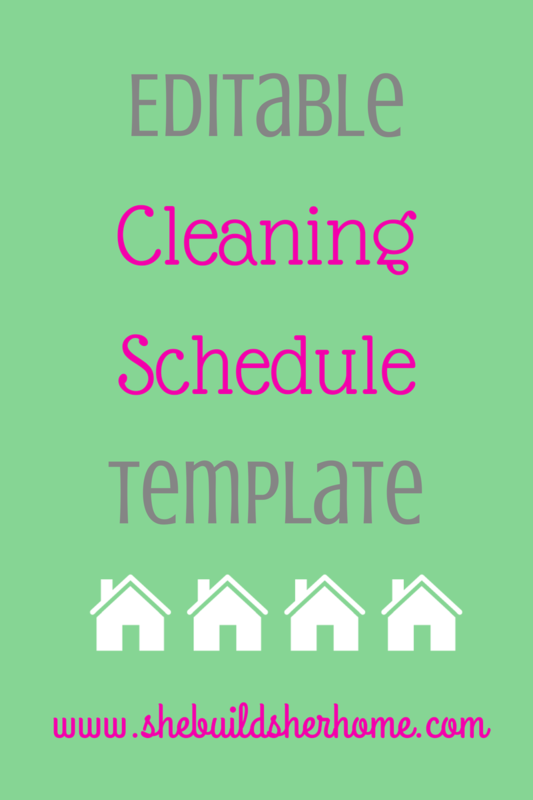 In comes this cleaning template. 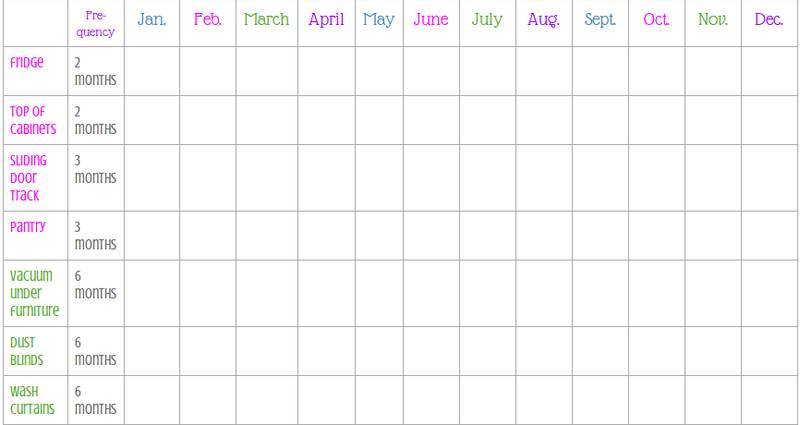 I have the whole year laid out, and I write down when I cleaned something and the frequency which I want it done. For example, I aim to clean out my refrigerator every 2 months, so I'd mark down that I cleaned it in May, and that I need to clean it again in July, September, and November. This way I know everything is getting cleaned when it is supposed to, and I'm not left scratching my head wondering if I have cleaned the tops of the door frames anytime in the last 9 months. Not that that happens to me or anything...... This template is free for the taking. I just ask that you give credit where credit is due if you use it! Enjoy! To download a blank template, go here, choose file-make a copy, and you can edit your copy! I need to do this as well...dust lives EVERYWHERE! Wait. We are supposed to be cleaning the tops of door frames?!?! Oops. I can't say that I've EVER done that!!! Lol!